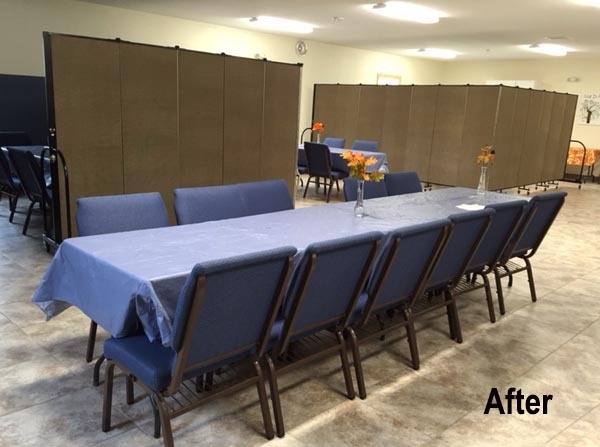 Uses: Church, Conference Area/Meeting Room, Fellowship Hall, Religious, Sunday School Colors: Walnut Lengths: 9 panel 16'-9" Heights: 6'-0"
The staff at Roscommon Baptist Church reached out to Screenflex looking for a solution to their room dividing needs. 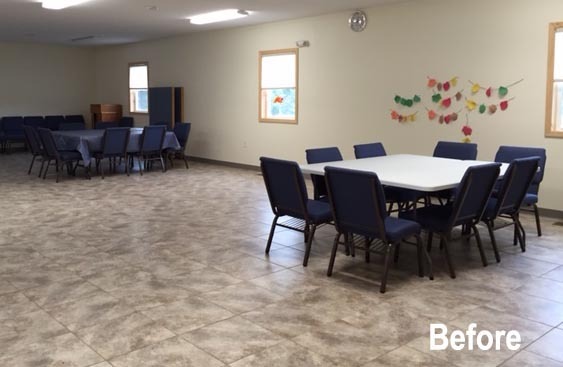 With the growth in church attendance came the need for adequate space for people to meet. The church needed a solution that fits within their budget and could accommodate their current facility restraints. Screenflex sales representative Kim, worked with the church staff to find the right size church portable walls and color to fulfill their needs. “We love these dividers. We plan to purchase more,” adds Ann.